Donald Trump’s attorney said North Korean leader Kim Jong Un begged “on his hands and knees” for a summit with the US president, The Wall Street Journal reported Wednesday. “Well, Kim Jong Un got back on his hands and knees and begged for it, which is exactly the position you want to put him in,” Giuliani said. The Trump attorney said that with the summit rescheduled, the United States has the upper hand. Singapore’s foreign minister will make a two-day trip to Pyongyang starting Thursday, as preparations for the Trump-Kim summit in the city-state accelerate. 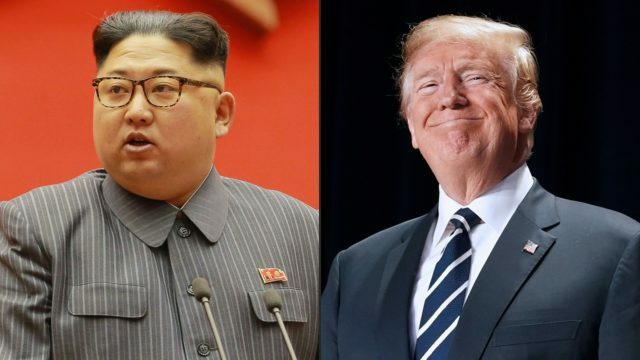 The announcement came a day after the White House revealed that the historic June 12 meeting between the US and North Korean leaders will take place in a luxury hotel on Singapore’s resort island of Sentosa. The summit is due to be held following a rapid detente between Pyongyang and Washington — as well as South Korea — in a turn-around from a dramatic escalation of tensions last year, when the North ratcheted up its weapons programme.